This is the most egregious bit of russophobic propaganda that I have seen appear in the NZ media.I don’t think I need comment any further. I request that if you are in New Zealand (and even if you are not) you respond to this article by commenting, directly (if you have a subscription) or on their Facebook page. Comments can be made on the Listener's Facebook page although due to a "technical error" comments had been disappearing from their page until we pointed it out to them and there were several complaints. You can make up your own mind up if there is anything behind that. At first I thought this was a reprint from the American publication, Foreign Affairs because there is no journalist capable of writing a piece like this at the Listener, or indeed, in New Zealand. So I had a look to see who Cathrin Schaer is. She appears to be a “freelance” journalist based in Berlin who reportedly writes for various publications, including the NZ Listener. 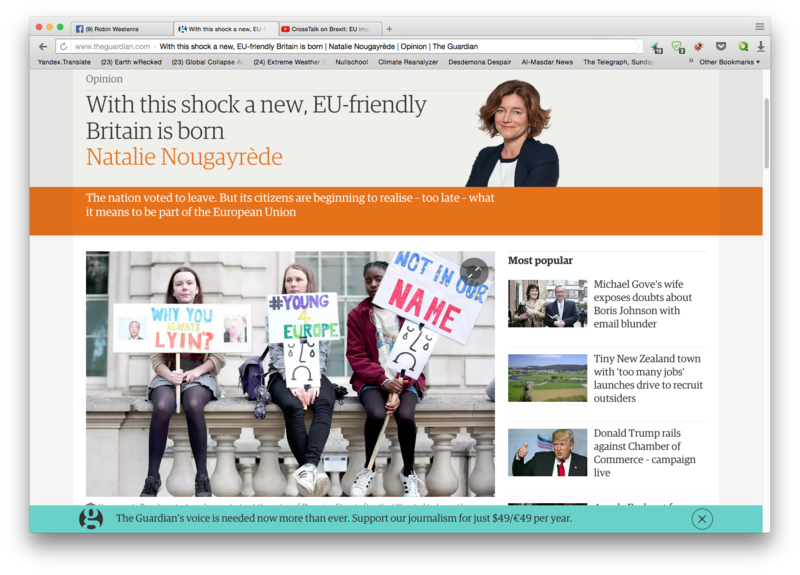 She has not entered any information about herself except for a link to a blog. "Cathrin Schaer has been a freelance journalist for far too long. She is currently living in Berlin." No email, no contact. The Listener have since offered to submit any communication to her, but that's not really the point,is it? One of Nato’s most senior former commanders says Europe is heading for war with Russia – but it’s not too late to stop it. 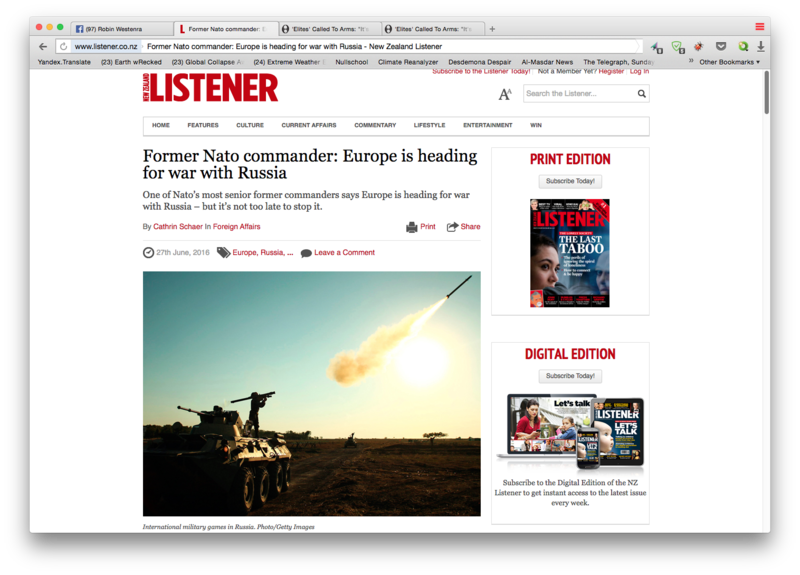 So when somebody like Shirreff says he thinks Russia may intend to go to war with one or all of Nato’s 28 member states, people listen. The scenario that Shirreff is talking about today, inside Whitehall’s Royal United Services Institute, a UK defence and security think tank, is actually fiction; but it’s the central storyline in his book, 2017: War With Russia, being released on this rainy May day. 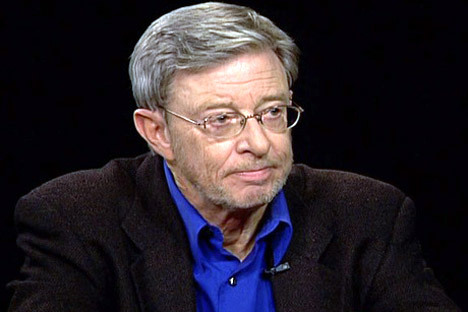 On Foreign Policy magazine’s website, James Stavridis – a retired US Navy admiral, a former Nato Supreme Allied Commander Europe and at one stage Shirreff’s boss – recently described almost exactly the same preconditions for Russian military aggression that Shirreff does in his book: a weakened Russia whose leader, a seasoned opportunist, must give his people what Shirreff calls a “sugar rush” and keep his approval ratings high. “It is about avoiding war by recognising the importance of deterrence and by recognising the danger we are in at the moment. I’d love nothing more than to get rid of the armed forces. General Sir Richard Shirreff is a high ranking retired British military General. He warns that nuclear war with Russia could happen within a year, if NATO doesn't beef up its defence presence in the Baltic states. There are several points we need to raise with you. Secondly, you stated on your blog that we have removed “the complaints or any reference to their removal”. This is not correct. We can still see the comments on both desktop and mobile. We have attached a screenshot of the complaints on the Facebook post. We are still trying to figure out why comments aren’t appearing on Facebook – as you can see from the attached image, it says “15 comments” but only 11 are currently appearing. This is an issue that our entire company seems to be experiencing. It is not limited to this Facebook post on the Listener page. Finally, the journalist’s name is Cathrin Schaer, not “Cathrin Scheer” as you state on your blog. If you want to contact Cathrin, we would be more than happy to pass your message on to her. You are of course welcome to write a letter to the editor for publication in the magazine and on our website. Thank you Robin. And I'm sorry for the message out of the blue - it was mistakenly sent from my account rather than the Listener one. Cathrin is a New Zealander based in Germany. It seems that messages going missing on Facebook was not the only thing going wrong at the Listener. I have left my earlier comments - you've got the Listener's explanation. One gets the impression from Cathrin Shaer’s article of a genteel old man writing his first piece of fiction - a potboiler. Unfortunately the author was 2nd-in-charge of NATO until recently and so has to be taken a bit more seriously than an amateur writer. I find it frightening to think of such a man (and I’m thinking of Gen Breedlove as well), in charge of the security of the West for there is hardly a single fact in any of what they say. And yet the consequences of their words and deeds are absolutely dire. A picture is painted of an unstable leader, Vladimir Putin thirsting after the past greatness of the Soviet Union taking his country into ruin and invading all his neighbours from Ukraine, Poland and the Baltics. Unfortunately it is all a piece of fiction - the threatening, the posturing. and most of all, the purported invasions. The fact is there have been no invasions. Russia "took" Crimea back as a reflexive action without a single soldier being brought in from outside, or a single shot being fired. The "invasion" of Ukraine is likewise a complete myth. In fact the has been sitting on his hands doing nothing, relying on Lavrov's. Diplomacy, while the Russian-speaking people of Donbass were being bombed and killed. If Russia wanted to invade they'd be at the gates of Kiev within days. Russia is truly encircled and we have NATO troops based 100 miles from St. Petersburg. The United States has long threatened the introduction of "missile defense shield" which they claimed was directed at Iran (sic) but which has now been opened to great fanfare in Romania. This allows the Americans to change their policy from MAD (mutually-assured destruction) to a nuclear strike first policy. It was the Americans, not the Russians who abrogated the Sovist-era ICBM treaty that allowed both countries to reduce their stockpiles of nuclear weapons. Western actions are not ones of deterrence, (especially seen in other actions taken against the Russians in areas from economic sanctions to sport boycotts) , but of utmost (and constant) provocation. The German Foreign Minister Frank-Walter Steinmeier warned NATO a couple of weeks back against "warmongering", after it conducted military exercises in Eastern Europe and said that manoeuvres were counterproductive to regional security and could inflame tensions with Russia. 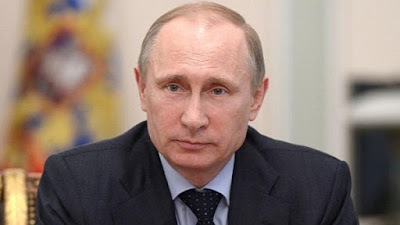 He urged the Nato military alliance to replace the exercises with more dialogue and co-operation with Russia. The chairman of the NATO Military Committee,General Petr Pavel, stated some days ago that he sees no imminent Russian threat to Baltics "It is not the aim of NATO to create a military barrier against broad-scale Russian aggression, because such aggression is not on the agenda and no intelligence assessment suggests such a thing." I think it would not be unreasonable to conclude that the greatest threat to the world's security comes, not from Russia but from the neo-cons that rule the roost in Washington. I am a regular listener to your program on the John Bachelor Show (listening from New Zealand). I have known about you and your work since I was studying Russian and history at the University of Canterbury (Christchurch,NZ) in the 70’s and read your biography of Nikolai Bukharin. I too share that particular fascination. Along with many I share your anxiety and increasing frustration about NATO aggression since at least 2008 and most particularly recent, ongoing events. I rely on the up-to-date information that you are able to convey and I would like to acknowledge your important contribution and thank you for it. I try to do my bit by informing a small audience of the true picture and am enclosing a link to an item relating to what I regard as disinformation in our own New Zealand media. Many thanks for your comments and for what you are doing. Sheriff is promoting his book and getting a lot of help. As Richard Sakwa wrote recently, the only Russia-relatead military threats and crises are ones that US/NATO itself created — and it is very dangerous. I guess we both share the same alarm. "It's Time To Rise Up Against The Ignorant Masses"
Democracy, it seems, is a 'mistake'. 'Elites' Called To Arms: "It's Time To Rise Up Against The Ignorant Masses"
It appears the powers that be just are not going to take it anymore. Having mistakenly allowed the people of Britain to exercise their free will, Foreign Policy's James Traub exclaims, "It's time for the elites to rise up against the ignorant masses." Yes, it’s possible that all the political pieces will fly up into the air and settle down more or less where they were before, but the Brexit vote shows that shocking change isn’t very shocking anymore. Where, then, could those pieces end up? Europe is already pointing in one direction. In much of Europe, far-right nativist parties lead in the polls. So far, none has mustered a majority, though last month Norbert Hofer, the leader of Austria’s far-right Freedom Party, which traffics in Nazi symbolism, came within a hair of winning election as president. Mainstream parties of the left and right may increasingly combine forces to keep out the nationalists. This has already happened in Sweden, where a right-of-center party serves as the minority partner to the left-of-center government. If the Socialists in France do in fact lose the first round, they will almost certainly support the conservative Republicans against the far-right National Front. Perhaps these informal coalitions can survive until the fever breaks. But the imperative of cohabitation could also lead to genuine realignment. That is, chunks of parties from the left and right of center could break away to form a different kind of center, defending pragmatism, meliorism, technical knowledge, and effective governance against the ideological forces gathering on both sides. It’s not hard to imagine the Republican Party in the United States — and perhaps the British Conservatives should Brexit go terribly wrong — losing control of the angry, nationalist rank and file and reconstituting themselves as the kind of Main Street, pro-business parties they were a generation ago, before their ideological zeal led them into a blind alley.That may be their only alternative to irrelevance. Did I say “ignorant”? Yes, I did. It is necessary to say that people are deluded and that the task of leadership is to un-delude them. Is that “elitist”? Maybe it is; maybe we have become so inclined to celebrate the authenticity of all personal conviction that it is now elitist to believe in reason, expertise, and the lessons of history. If so, the party of accepting reality must be prepared to take on the party of denying reality, and its enablers among those who know better. If that is the coming realignment, we should embrace it. Post-Brexit realities and challenges: What will the European Union do now – reform itself or double down? Will Brussels take on what is called the democracy deficit? And is there such a thing as an amicable political divorce? CrossTalking with Liam Halligan, Mary Dejevsky, and George Szamuely. A Euromaidan for London?I kid you not. This could have been written by Victoria Nuland. It is fascinating to note that in just a few days Britain has become a country where so many people are now ready to speak positively and passionately about EU membership. With Brexit-hovering seen as a near-death experience for an entire country, people are scrambling to express their emotions about wanting to stay in. I can only think of one other country where there was a (relatively comparable) public groundswell of sudden pro-EU sentiment: that’s Ukraine, in December 2013, when a generation understood it was being deprived of a future it thought was all but guaranteed, and then made its frustration very clear. Ukrainians flocked on to the main square of their capital after learning they were about to be denied plans for an association agreement with the EU. That was the start of the Maidan movement. Now in Britain social media is awash with calls to reject the breakup of links between the UK and the EU. This could be an ephemeral and geographically limited reaction. London voted massively for remain. One glimpse at the electoral map shows how the city resembles a large bubble detached from the rest of a mainly pro-Brexit England. Still, the passions that have been aroused are striking. Young people throughout Britain favoured remain by a huge majority of 75%. They now feel something has been stolen from them. Shock and disappointment can be powerful motives for wanting to take things into your own hands. It is far-fetched to think this will develop into anything resembling Maidan. The contrast with Ukraine in 2013 hardly needs to be described. Britain is not an autocratic state with a president who single-handedly decided to abandon links with the EU because he was put under pressure by a large neighbouring power. Britain has held a free, democratic referendum whose result cannot be swept aside and whose consequences everyone will have to live with. Yet some kind of awakening seems to be under way. It is happening too late, after the referendum battle has been lost, and in the midst of violent, immediate aftershocks (financial, political and even xenophobic), which no doubt add to the disarray. But it is also a reaction that may, over time, turn the tide of one people’s attitude towards the EU as a project. A decades-old British cold and distant approach to the European project has given way to outbreaks of panic in the face of what is about to be sacrificed, and a frantic desire to hold on to it. Perhaps it’s only when you are about to lose something that you start to cherish it; perhaps it’s only when you find yourself confronted with unprecedented disruptions that you start to yearn for life to go on the way you believed it would. Whatever the scale of the anti-leave protests that seem to be developing, at least online, they represent a turning point. This British moment of shock and awe sets the scene for a new outlook on Europe. That pulling out of the EU is harmful to Britain’s national interests and especially those of its younger generation is a truth that has started to seep in, if ever it was doubted. No satisfaction should be drawn from this, especially not from EU leaders as they gather in Brussels. Shows of schadenfreude or attempts to add pain to Britain’s self-inflicted humiliation would be the worst possible mistake – if ever Europe’s pieces can be picked up from here. But if there is one bright side to an otherwise very dismal situation: it is that a sense of pro-European purpose and energy may now be appearing in a country where the EU had only ever been described in prosaic, if not hostile, terms. Britain is now discovering what it really meant to be part of a collective European endeavour. Whatever lies ahead, its young people won’t forget this moment, and they will one day work towards correcting the failures of their elders. “Brexit not in my name” is trending on Twitter. A new popular mood may be born, one in which the EU becomes a cause for engagement, for values and solidarity – not a scapegoat or a caricatured technocratic entity. If something good can be drawn from this referendum wreckage, it may be the beginning of a permanent, positive culture about Europe in Britain. That’s something that has never existed before. If only it had happened earlier. 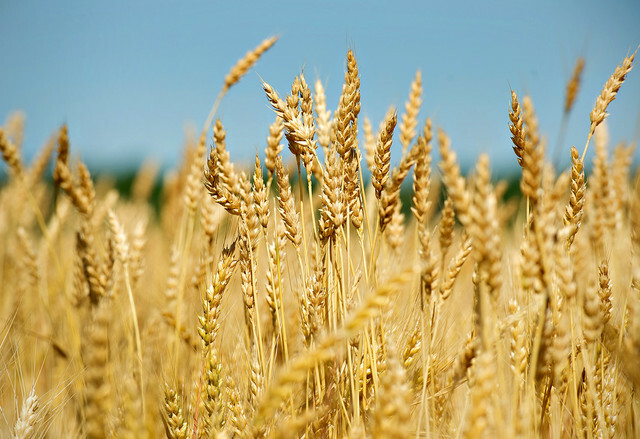 By 2024, the scenario saw global food prices spike by as much as 395 percent due to prolonged crop failures in key food basket regions, driven largely by climate change, oil price spikes, and confused responses from the international community. Although the scenario was not produced as a forecast, it was designed to provide a plausible framework to test the resilience of the national security system from the perspective of the US government, private industry, and civil society. CNA Corporation is a government contractor established in 1942 to provide scientific research for the US Navy and Marine Corps. Its CEO, Dr. Katherine A. W. McGrady, is a scientific analyst to the US military’s Chief of Naval Operations and the Vice Chief of Naval Operations. 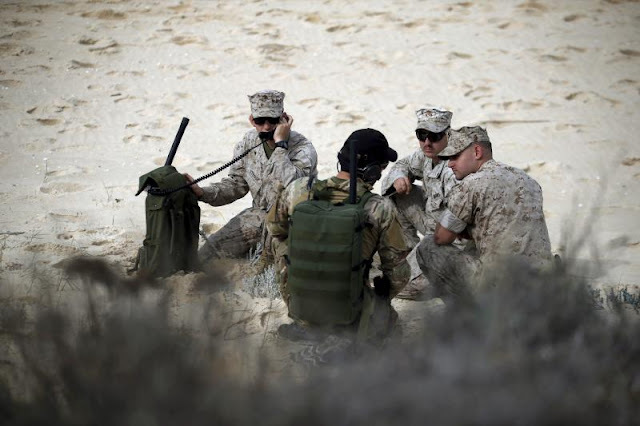 Four different organisations commissioned CNA Corp to conduct the exercise: the World Wildlife Fund (WWF), the Center for American Progress, giant food corporation Cargill, which controls a quarter of US grain exports, and Mars Inc., the global sweet manufacturer. One outcome was a panel hosted on Tuesday by the Center for American Progress on ‘The National Security implications of Climate Change and Food Security’, featuring Nancy Stetson, the US State Department’s Special Representative for Global Food Security. The game begins in 2020 with a reasonably healthy global economy and oil prices that have now rebounded to $75 a barrel. Food prices climb steadily due to “weather-related disruptions to agricultural production,” affecting South and Southeast Asia, Australia, and North America. Global crop production falls 1 percent short of expectations leading to decreases in stock and further modest price increases. Things get really rough after 2023 due to serious droughts and heatwaves in China, India, Russia, and Ukraine, coinciding with oil prices that rapidly increase to above $100 a barrel. 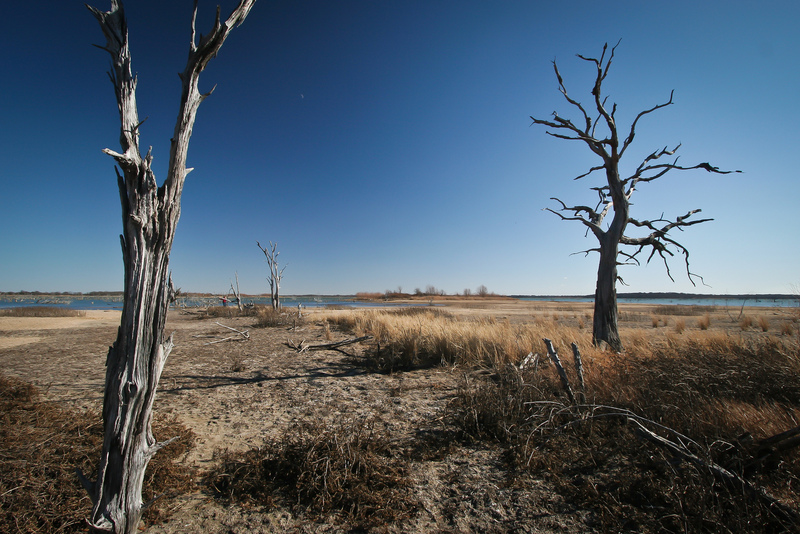 By 2024, heat and drought hit the European Union, Russia, and Ukraine, while subsiding elsewhere, triggering a food price spike “reaching 395 percent of long-term averages,” and a global economic slowdown. On the other hand, some simulations that have explored business-as-usual scenarios for a global food crisis—such as a complex model created by Anglia Ruskin University’s Global Sustainability Institute with funding from the British Foreign Office—forecast that current trends could result in a wholesale collapse of industrial civilization. The role of Cargill and Mars Inc. in sponsoring the exercise could explain why the project failed to address the deep-seated problems of the prevailing industrial food system. Let’s just hope that CNA Corporation’s main backer—the US government—doesn’t simply wait for a climate-driven food crisis to kick in. 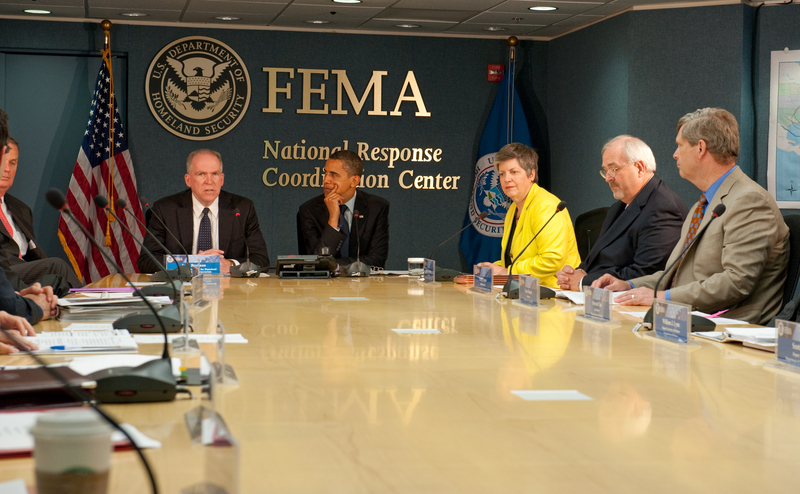 That would leave FEMA little choice but to invoke draconian emergency measures to maintain national order amidst hunger and anger. As if to confirm the latest climate news we have this. I can attest from where I’m sitting (in Wellington, NZ) to the ‘death of winter’. 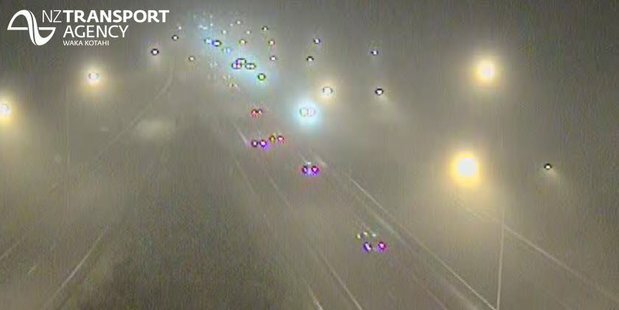 Widespread fog is disrupting travel in and out of Auckland Airport this morning. Fog restrictions at the airport were lifted a short time ago but reinstated an hour later when fog rolled in again. An airport spokesman said approximately 19 domestic flights from Auckland Airport have now been cancelled and 13 have been delayed, because of fog. Five international flights left later than scheduled. Passengers are advised to check flight arrivals and departures on the Auckland Airport website or phone app, and to expect delays. Auckland Transport is advising motorists to maintain a safe driving distance on the roads. The main trunk routes to Wellington, Christchurch, Dunedin and Queenstown had not been affected by the fog. 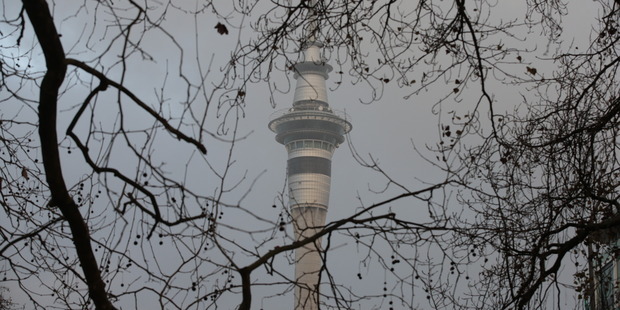 The fog come a day after Auckland suffered its wettest June hour ever recorded. Between 1pm and 2pm, Niwa's Mangere weather station recorded 25.4mm of rain. 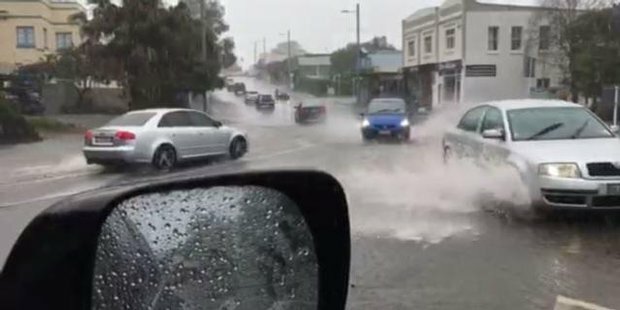 The deluge was part of a miserable afternoon of rain that caused havoc on roads across Auckland until showers cleared about 4pm as the weather system moved towards Bay of Plenty. At Pukekohe, a police officer helped a disabled girl and her mother who were caught in a flooded car. Constable Graham Eddy said: "When I arrived the water was up to the windscreen and the woman driver and her daughter were still in there, so I just took it upon myself to offer them assistance I guess." The pair in the car had to stand on its seats as the water rose and the girl became distressed. She was carried to safety by the woman's partner, who arrived as the drama unfolded. Fire Service spokesman Jaron Philips said 100 calls were received from Te Atatu Peninsula to Tuakau for flooding-related incidents. "It was fierce and fast moving," he said. "It was quite busy for us, but not at the worst end of the scale of what we have seen." 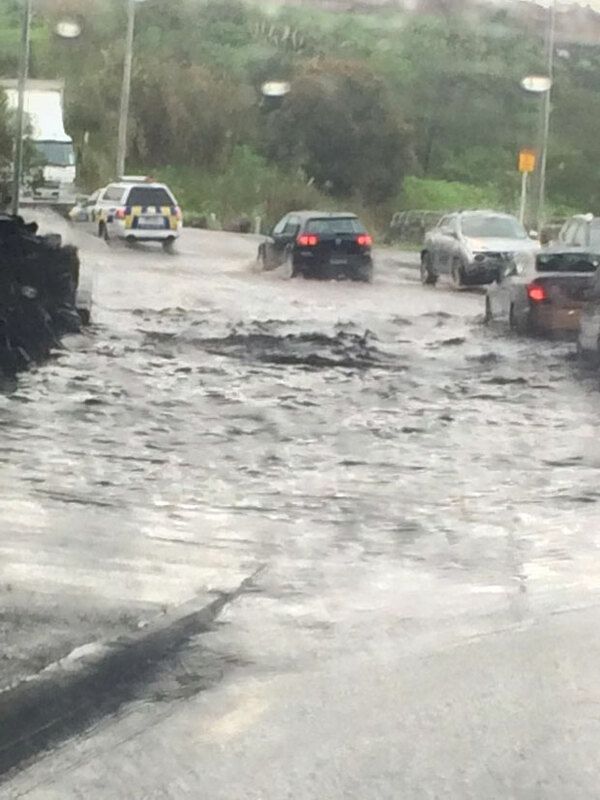 In Pukekohe, three people were rescued from a car caught in water on Subway Rd. In Waller St, Onehunga, a worker was trapped upstairs in a factory after the exit downstairs was flooded. "Waves" of floodwaters washed through on Beachcroft Ave. The Dress Smart mall carpark was flooded, and residents beside the Onehunga Bay Lagoon had calf-deep water in their yards. 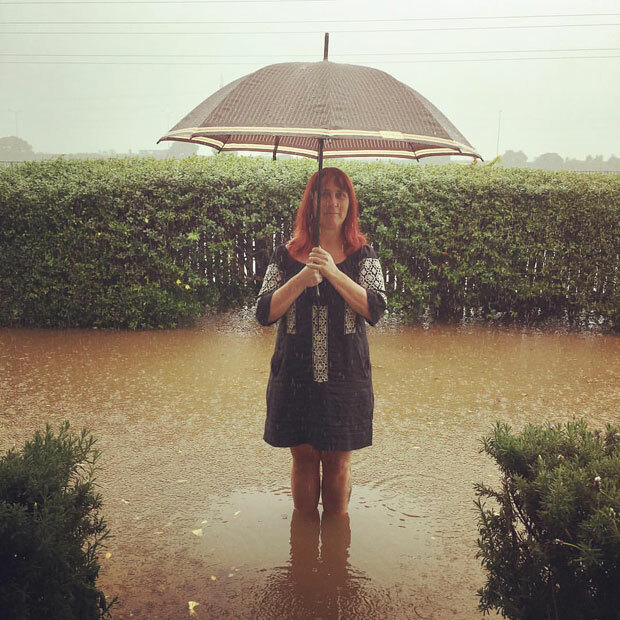 Small creeks rose swiftly and photos were posted to social media of gardens and streets swamped by muddy waters. Matipo Primary School in Te Atatu is expected to remain closed today after water got into buildings. WeatherWatch analyst Philip Duncan said the localised rain was a result of subtropic air feeding the usual winter rain clouds. "There was 100 per cent humidity, the rain clouds were quite literally forming over Auckland as the slow-moving band of rain was fed by the subtropics." He predicted more heavy rain events throughout July, with one forecast on Sunday. "The population, not the elites are the problem"
Paul Beckwith asks "is it too late?"